This stainless steel shower caddy is designed to be easily mounted over a door or wall. Ideal for keeping all your hygiene products, back brushes or washcloths. 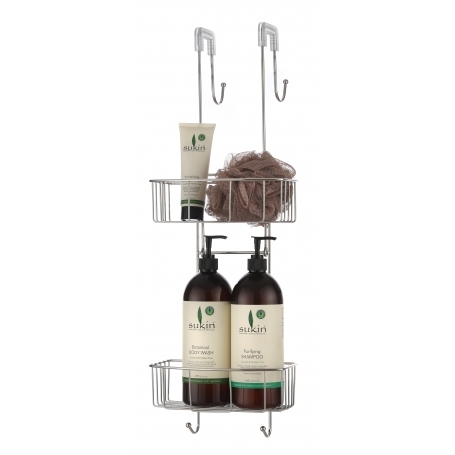 This rack is able to self drain allowing items to dry between shower use.